See if they are tripped. You can visually inspect to make sure that each breaker is in the ON position. If one is in the OFF position, it has been tripped from an overload or faulty circuit. Simply move the breaker from OFF to ON. If it immediately trips itself back to OFF, you could have a major issue, and you should call us right away. If you have a multimeter, you can test each individual breaker. Set the multimeter setting to “Volts AC” to test. Each breaker has a terminal screw in the end where the “hot” wire runs. Touch one prong to the terminal screw of the breaker and the other to the ground bar inside of the electrical panel box. (Note: This is the dangerous part. You are better off having one of our experts test your breakers than trying to do it yourself. It’s just not worth it.) If no power is detected, you have a bad breaker, and you need to replace it. If you were brave enough to test the breakers on your own and you need one replaced, it’s time to call in the team from Blue Collar Electricians. We can test, inspect and repair or replace individual breakers, or if need be the whole panel. 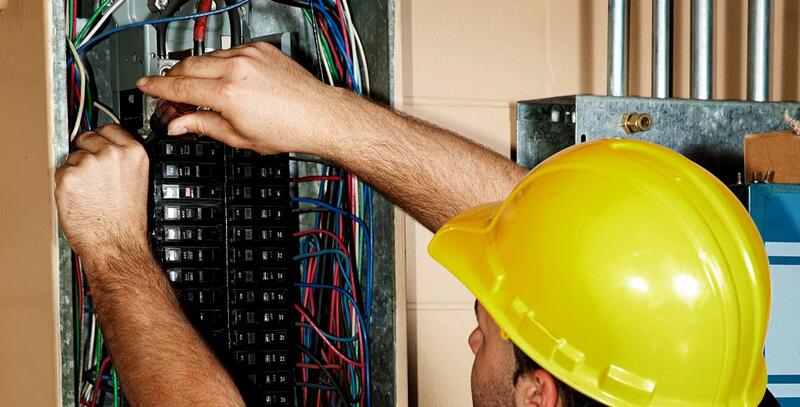 For electrical panel upgrades and repairs in Northeast Ohio, the only team to call is Blue Collar Electricians.